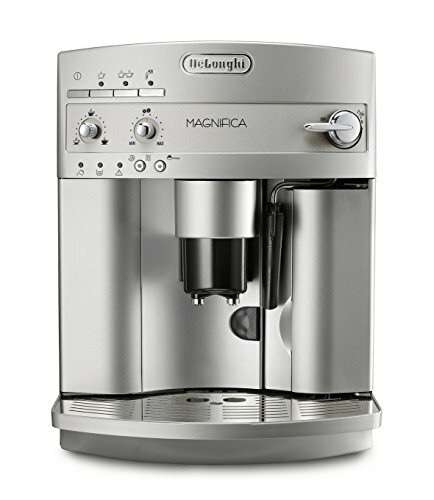 DeLonghi ESAM3300 Review - Magnifica Coffee Machine! A corner coffee shop can be found on almost every street corner in major cities and commercial districts in the country. It’s no surprise that a lot of people think the domestic coffee maker is starting to become obsolete. This couldn’t be more wrong! These kitchen appliances are actually getting a lot more attention as of late. With more and more people looking for better ways to make their own cups of coffee, it shouldn’t come as a surprise that instead of paying for every cup they consume, people are now opting to access search for the perfect coffee maker to get the job done. That’s why we’re going to learn more about this product in this DeLonghi ESAM3300 review. Home espresso machines are gaining a lot of traction in the past few years. This kitchen equipment can help you make professional-quality cups of coffee without a fuss, making them excellent investments for those who can’t go a day without their caffeine shot. We can certainly relate! While these machines are often pricey, they can be a more economical option in the long run. How? Precisely because the cost of the machine, coffee beans, and your electricity will still be a lot less than what you pay for in coffee shops on a daily basis. If your espresso is a necessary daily expense, opt to reduce the amount you spend by making your own espresso at home. The trick to economically sustaining your coffee indulgence is to find a great espresso machine at a fair price. 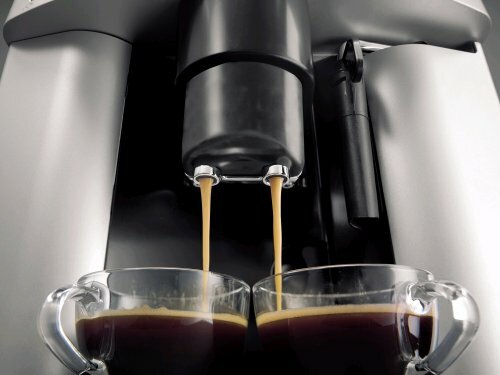 Again, it should be noted that we are well aware that espresso machines can be expensive, but it doesn’t mean that you have to spend thousands of dollars for a good one. There are always a number of affordable coffee machines available that are still made with great quality. ​For example, take the DeLonghi ESAM3300. 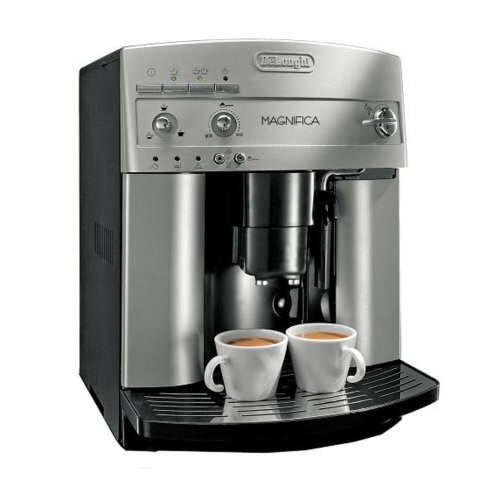 This fully automatic espresso machine is one of the best-reviewed options in the market making it a popular choice among practical coffee lovers. With a good price and an excellent set of features, it’s a great option for those who want to cut down on their coffee shop purchases and start making their own coffee at home. Capable of making coffee, espresso, lattes, cappuccino and other drinks with just a few button presses. The stainless steel compact, removable double boiler guarantees high-quality performance, great tasting output, efficiency, and easy clean-up. You can brew and steam without having to pause and wait for the machine to recover. Employing a beans-to-brew system, you’re guaranteed of making the finest cup of joe every time. It employs a high-quality conical burr grinder that you can adjust according to how fine you want your grounds. It has an instant reheat function that will guarantee that you’ll always get a cup of coffee at the optimal temperature no matter how long the intervals your brews may have had. With a 15 bar pump, you’ll get a high-quality espresso shot every time. Designed with a removable water tank and bean container, it’s very easy to clean. A separate container for pre-ground coffee beans is also present, making the unit more versatile. Coffee spigots are adjustable, so you can directly use different kinds of containers with the machine. The cup tray can keep your coffee warm, so you don’t have to deal with lukewarm coffee in case you had to do something in between brewing and enjoying your cup of coffee. A patented cappuccino system makes use of a steam wand, which rotates 180 degrees to properly mix steam and milk to create a perfectly creamy and frothy texture. Front control panel is equipped with dials and buttons making it straightforward and easy to use. The ESAM3300 perfectly combines the classic espresso machine look with a few touches of modernity – contemporary kitchen approved! It looks like a professional barista coffee maker. Reasonably priced and can be cheaper than other high end brands. The cappuccino system really makes it easier to make frothy drinks that can rival a coffee shop’s product. The integrated grinder helps you save some cash as you don’t have to buy a separate grinder. The unit is quite compact, so you need not worry about taking up an excessive amount of kitchen counter space. The grinder can be quite noisy. ​Coffee lovers who can’t seem to find the right coffee shop to supply their daily caffeine fix will love this espresso machine. Not only will it let you customize your brews and make your cups of coffee the exact way you want, but it’s also very easy to use. No more need to learn complicated brewing and pouring methods with this machine. All you have to do is pick the right coffee beans, press a few buttons, turn the dial a bit, and you’re good to go. 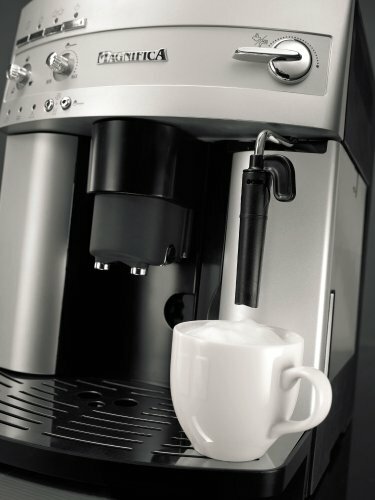 ​The Delonghi ESAM3300 is an excellent kitchen appliance if you want your own personal barista at home. Sure, it’s pricey, but with the savings from not having to buy overpriced coffee anymore, it will surely pay for itself in a year or two. If you’re looking for an easy way to make great cups of coffee at home, the Delonghi ESAM3300 is definitely a product you should consider purchasing or adding to your wedding registry / gift wishlist. This amazing coffee machine can be your personal barista without costing an arm and a leg. While it is still a bit pricey, it’s packed with features that make it worth every penny. An integrated grinder and Cappuccino system mean additional purchases won’t be necessary to make the finest brews – it can already do everything you need! We say yes. It’s one of the best options at a great price point for homeowners who want more functionality in their kitchen. Disclosure: Love and Lavender Weddings Inc. is a participant in the Amazon Services LLC Associates Program, an affiliate advertising program designed to provide a means for sites to earn advertising fees by advertising and linking to Amazon.com. This post contains affiliate links, which means if you click on the link and make a purchase I will receive a small commission. L&L only recommends products or services that we believe add value to our readers.